Walk in for 35 Project Assistant Level I Posts on a project entitled "Quality Monitoring of Coal" in CIMFR, Dhanbad, Jharkhand on Contract Basis. 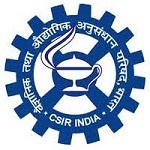 Candidates are invited by CSIR - Central Institute of Mining and Fuel Research (CIMFR) to attend walk-in-interview to be held on 22 to 24 Apr 2019 at 10:30 AM for 35 vacancies. Project: "Quality Monitoring of Coal"